For many, holidays are synonymous with relaxation, escape and change of scenery. To help you disconnect, we offer an exclusive selection of villas with a spa. Thus, at any time of the day, you can swim in these warm waters with many therapeutic virtues. This natural soothing will help you relax and give you a feeling of intense well-being. Ideal for relaxing muscle tension and improving blood circulation, a spa is a great asset for your vacation. Discover without further delay our selection of villas with a spa in the four corners of the planet. Between Buddhist temples, bustling cities and heavenly beaches, Thailand is a dream destination for a tropical vacation. For a relaxing holiday, go to Koh Samui! A haven for yogis and mindfulness meditation experts, Koh Samui is a paradise away from the hustle and bustle of Bangkok. To embellish your trip, we suggest staying in Villa Akatsuki. 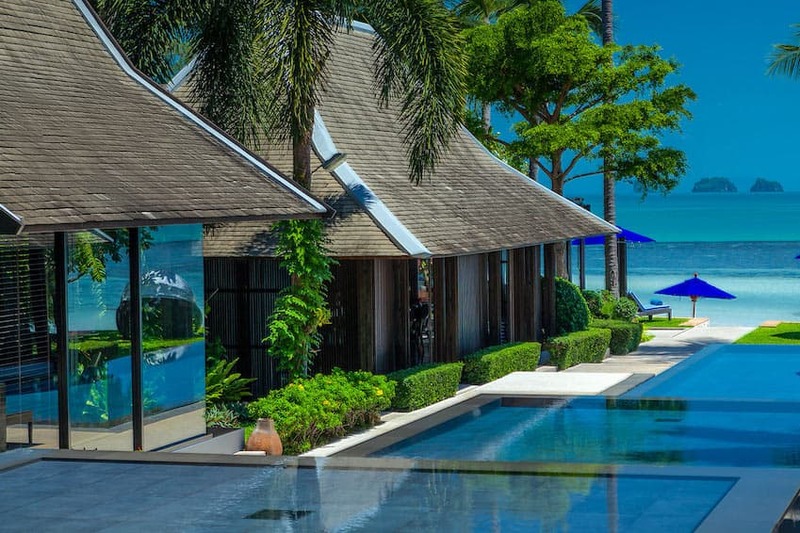 Located by the sea, this rare villa offers breathtaking views of the west coast of Koh Samui. With its infinity pool and lush garden, this property enjoys a dream environment. Inside, find finely decorated living rooms, combining traditional Thai and Japanese furniture. To fully relax, a spa is at your disposal. You can arrange spa treatments such as exotic oil massages with spices, fruits and Thai essences. This summer, lose yourself in the mesmerising cities and authentic villages of Portugal. From its colourful buildings to its fascinating mosaics, Portugal has something to dream about. To get off the beaten track, visit the Algarve! This region in southern Portugal offers travellers vertiginous cliffs and beaches with golden sand. In the hinterland, discover lush countryside, historic villages and absolute tranquility. To make your holiday look like a fairytale, we recommend Villa Leones. Charming and minimalist, this villa is located in Lagos, not far from Faro. Equipped with a swimming pool, heated jacuzzi and multiple outdoor areas, this stunning property is ideal for a relaxing holiday in Portugal. After strolling through the alleys of Albufeira or Faro, delve into the warm waters of the spa, which is accessible in the resort complex. On request, treatments can be provided to offer you an ultra-luxury experience. On the Adriatic coast, Croatia looks like paradise. Like a jewel in Eastern Europe, Croatia fascinates with its thousand islands and islets, its high-end clientele and its cultural mix. In Croatia, nature is also prolific. From natural parks and sublime lakes to abundant flora and fauna, Croatia is a dream destination for your family vacation. Among the many regions of Croatia, Dalmatia stands out. Here, small fishing ports succeed Roman temples and fortresses. For your stay, we present the beautiful Villa Violetta. 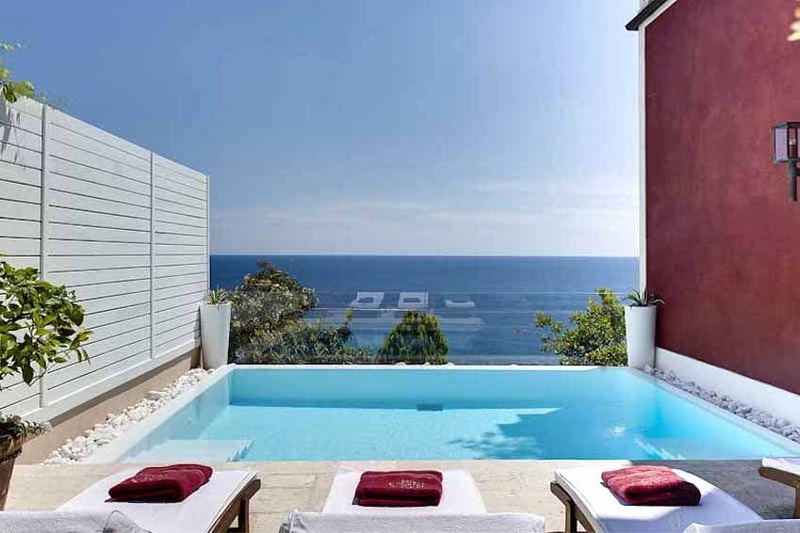 This spectacular property with sea views is a testament to modern Dalmatian architecture. Luxurious and elegant, Villa Violetta is tastefully decorated. Outside, find a garden and a private pool in which you will love a swim to cool off. To end the day, the spa of the villa awaits you. A sauna and hammam are also at your disposal for guaranteed relaxation on your holiday. Morocco...This sweet dreamy name evokes exotic palms, sumptuous palaces, wooded gardens but also the sweet aroma of spices and colourful souks. Indeed, Morocco abounds with dazzling landscapes that will never cease to amaze you throughout your stay. Among the countless beauties of Morocco, lies the beautiful Marrakech. Nicknamed the "Pearl of the South", this buzzing city fascinates with its colours, smells and the warmth of its inhabitants. 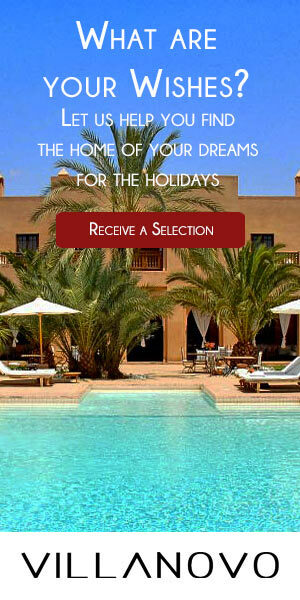 From the Palmeraie to the sublime Majorelle Garden and the medina, Marrakech will captivate you. To make the most of your stay, we invite you to visit Villa Aza. In the foothills of the Atlas, this property of 6.5 hectares offers unparalleled comfort. 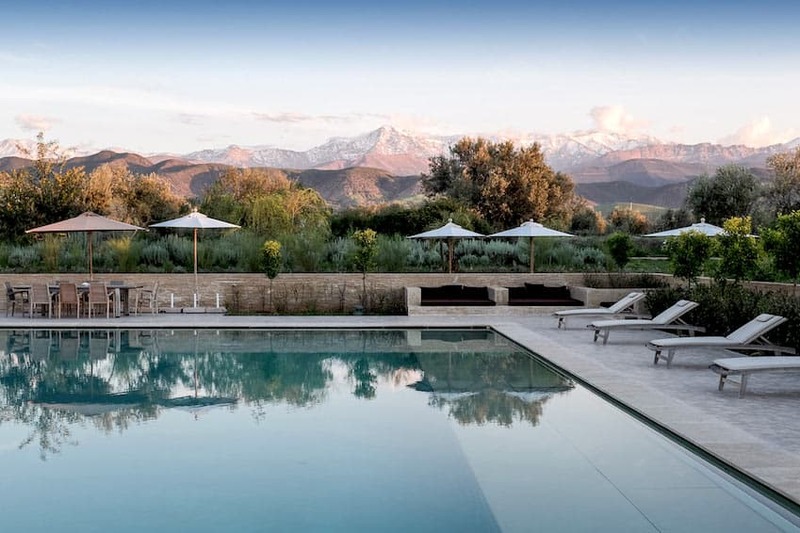 Surrounded by olive groves and mature gardens, Villa Aza enjoys spectacular views of the Atlas Mountains. Designed according to Berber architecture, the house combines simplicity and sophistication. Equipped with a heated pool, a tennis court and a staff, Villa Aza will allow you to taste ultimate luxury. For long-lasting pleasure, slide into the warm waters of the full-service spa with a traditional hammam and relaxation room. Do we still need to present Italy as a country of dreams? A magical country, the boot, as it is called, mixes cities of art and the ancient. The land of Antiquity and the Renaissance, Italy is a real cultural and historical paradise. Though all of Italy deserves to be visited, we offer you a getaway to the Amalfi Coast. Listed as a UNESCO World Heritage Site, the Amalfi Coast brings together sublime landscapes and the authentic charm of Italy. Here, the picturesque mountains plunge into the sea while the forests are flooded with lush vegetation. To make your stay unforgettable, choose Villa Praiano. Located on the seafront, Villa Praiano enjoys a unique view of the Tyrrhenian Sea. The house and its terraces have been tastefully designed creating a perfect harmony in which one feels good. Outside, a superb swimming pool and a magnificent garden benefit from the sunny climate of Italy. To relax to the maximum, a spa is at your disposal. Ideal to unwind and forget the worries of everyday life! Sand, lagoons and palm trees...That seems to define Mauritius. Like a tropical jewel, Mauritius sits in the middle of the Indian Ocean. 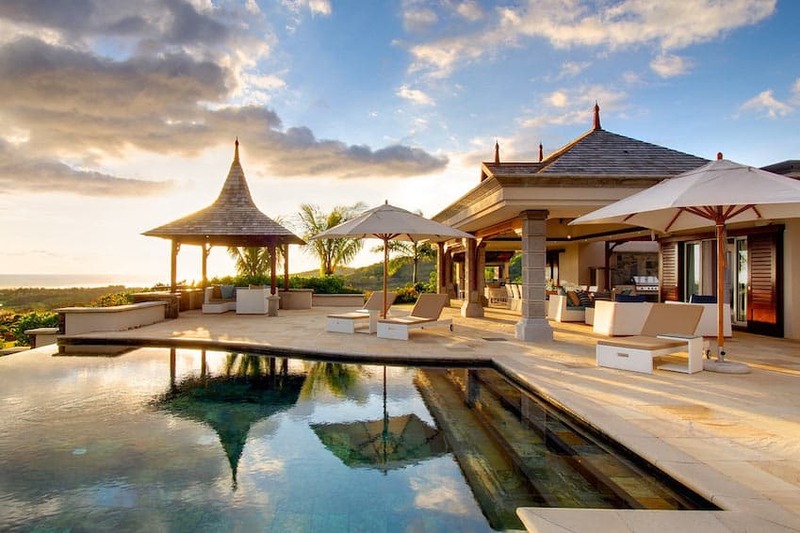 Prosperous and luxurious, Mauritius is swept by the hot winds of Africa. With its beaches as far as the eye can see, where the sands are golden and the waters crystal clear, this destination has something to dream about. Often popular for honeymoons, Mauritius is also wonderful to visit with family or friends. The Southwest of Mauritius is one of the most popular regions because it is less windy than the East for example. In Bel Ombre, absolute calm reigns. This small fishing village has indeed lost nothing of its charm despite the high-end tourist complexes that have taken up residence in this sublime place. It is in this little corner of paradise that the Villa Heritage II is located. Built by a renowned architect, Villa Heritage II boasts a tropical garden, a refined environment and beautiful verandas. Located in an exceptional domain, this upscale property has a golf course in which it is possible to go with the help of small carts. By staying in Villa Heritage II, you will have access to the most luxurious spas of the surrounding resorts. Perfect to enjoy a refreshing and relaxing break in the tropics! Between natural treasures, legends and myths, Ibiza has many assets. Lose yourself in the coves with clear waters and come to discover the secrets that the hippies left when they arrived on the island in the 60's. A haven of pleasure, Ibiza unleashes passions and always attracts a high-end clientele. Far from popular belief, Ibiza is not just the untamed nightlife. In the countryside or in authentic villages, calm presides and it feels good! 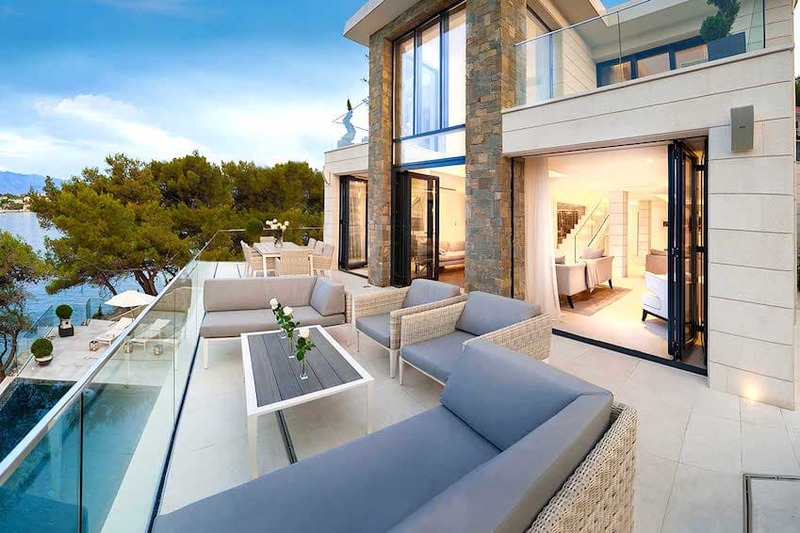 Treat yourself to an ultra-luxury break in Villa 845, located in Roca Llisa. 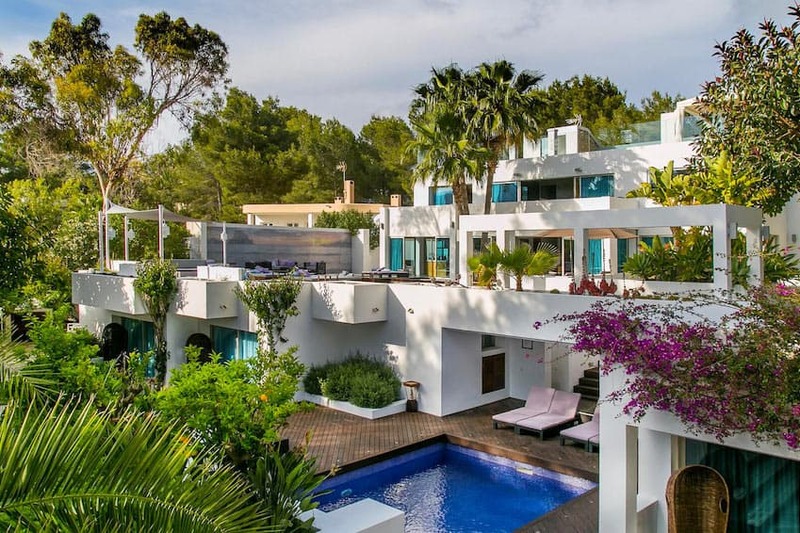 Close to the Ibiza golf course, the property has been recently renovated and decorated with care. Equipped with two swimming pools and a beautiful garden, the Villa 845 is perfect for a getaway with family or friends. A spa is at your disposal to relax and unwind after a long day exploring the wonders of Ibiza.